The acrylic French Touch chair unveiled last year by Juliette Mutzke-Felippelli of Los Angeles design studio Joogii embodies disco beats and the French house music she listened to as a student. 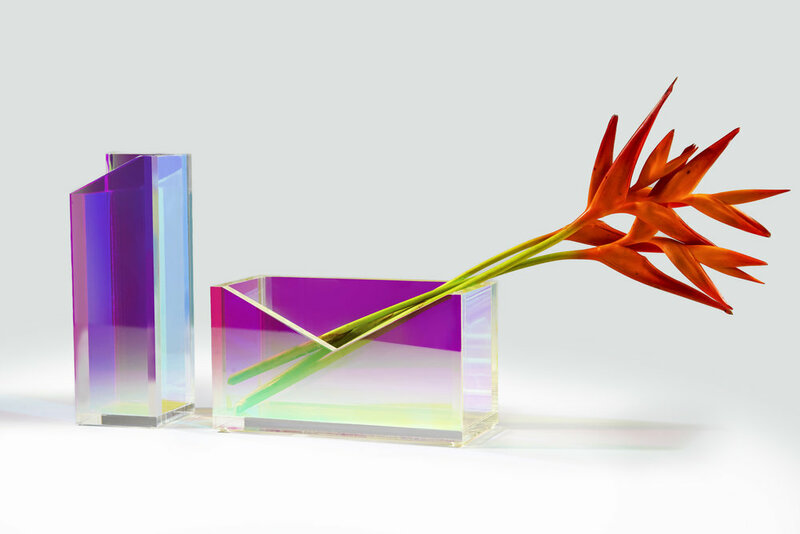 Iridescent film on the surface of the acrylic reacts with light to produce a disco spectrum. Mutzke-Felippelli released it with a digital mixtape of tracks by Daft Punk, Cassius and Etienne de Crecy. "The Daft Punk live album, Alive 1997, was basically the starting point for the whole French Touch Collection," she says. "And GiorgioMoroder, the pioneer of disco, is a huge source of inspiration for me."